Oiseaux-faune.net is tracked by us since September, 2012. Over the time it has been ranked as high as 1 529 999 in the world, while most of its traffic comes from France, where it reached as high as 56 608 position. 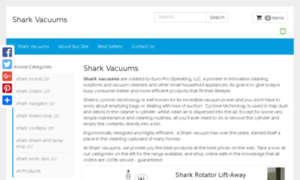 It was owned by several entities, from Didier T'KINDT Jimdo GmbH to Didier T'KINDT, it was hosted by RIPE Network Coordination Centre, Amazon Data Services Ireland Limited and others. While PSI-USA INC. DBA DOMAIN ROBOT was its first registrar, now it is moved to PSI-USA Inc. dba Domain Robot. Oiseaux-faune has a decent Google pagerank and bad results in terms of Yandex topical citation index. We found that Oiseaux-faune.net is poorly ‘socialized’ in respect to any social network. According to MyWot, Siteadvisor and Google safe browsing analytics, Oiseaux-faune.net is a fully trustworthy domain with no visitor reviews. Oiseaux-faune.net gets 86.7% of its traffic from France where it is ranked #56608. Oiseaux-faune.net has 550 visitors and 550 pageviews daily. Oiseaux-faune.net has no subdomains with considerable traffic. Oiseaux-faune.net has Google PR 3 and its top keyword is "chants d'oiseaux gratuit" with 19.75% of search traffic. 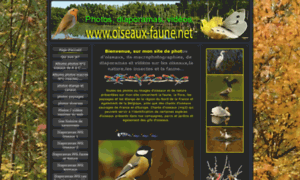 Oiseaux-faune.net domain is owned by Didier T'KINDT and its registration expires in 1 month. 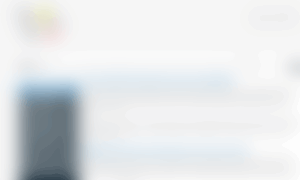 Oiseaux-faune.net is hosted by Amazon Data Services Ireland Limited. Safety status of Oiseaux-faune.net is described as follows: MyWOT reports its overall reputation as excellent and Google Safe Browsing reports its status as safe.